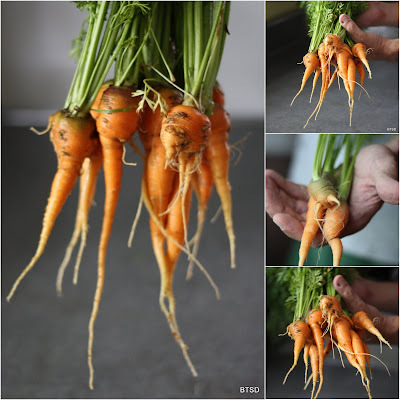 There is just something about growing your own organic carrots from seed. One of the differences in walking in the backyard and pulling your carrots out of the garden versus driving to the store and purchasing them is believe it or not the smell. What does a carrot smell like? Well, I wish you could walk in the kitchen right now! Because that is what a carrot smells like (from 5 feet away no doubt). I bet it smells wonderful! 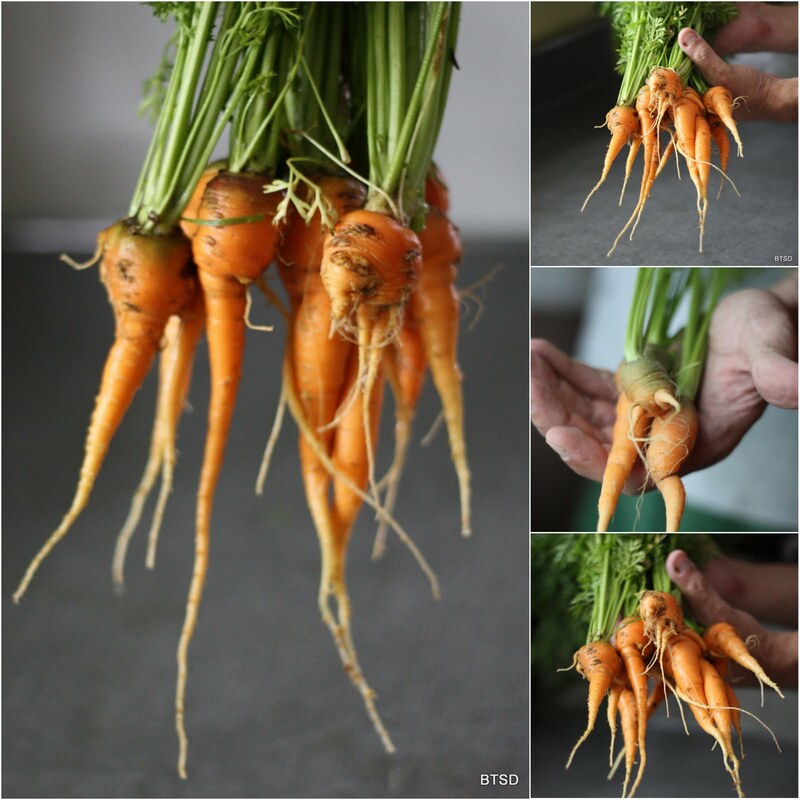 Carrots are one thing I have not tried to grow from seed. Right now I've got kale, pumpkins and corn that are thankfully growing really well. I love kale! We need some rain our way so if you can send any extra it would be appreciatted! Sorry, no rain here! It's very arid here during the summer, but we make up for it with tons of snow in the winter. There is truly nothing like a carrot right from the ground. I love to water them and let the little kids from next door come and pick their own. We grew the little round globe carrots this year. We need the rain too. I've been handwatering my fig tree twice a day.